The Celtics (15-17) look to start off the second half of the season with a win against the Cleveland Cavaliers (13-18). The Celtics have lost 7 of their last 8 games and their last 5 straight. This is the deciding game of the season series as both the Celtics and Cavs have both won one. 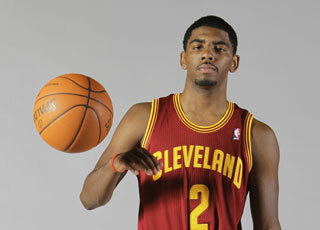 Kyrie Irving had the game winning layup in the first game as the Cav’s went on a 12-0 run to beat the Celts by one. Two days later the Celtics almost blew a 22 point lead against the Cav’s but managed to hold on for a 3 point win. The Celtics are supposed to get Rajon Rondo (suspension), Brandon Bass (Knee), and Chris Wilcox (Groin) all back to play against the Cavs. Look for Rajon Rondo to come out and attack the basket early on in the game as he came out during the All-Star break and took the teams struggles on his shoulders. When Rondo attacks the hoop early, it bodes well for the Celtics chances. Getting both Bass and Wilcox back will be huge for the Celtics as they are two of the better rebounders for the Celtics and Varejao has killed the Celtics on the board this year. They will both bring an offensive presence to the Celts as Bass is deadly with his jumper and Wilcox is Rondo’s favorite player in the transition game. Until the Celtics can consistently stop turning over the ball 15+ times per game, this is going to be on here. The Celtics are turning over the ball the 8th most in the NBA. It doesn’t matter how good of defense they are playing because of all the easy buckets they are giving up from rebounds and turnovers. The Celtics rank dead last in rebounds per game, they are getting outrebounded by their opponents by over 3 rebounds a game. Getting Chris Wilcox and Brandon Bass back will definitely help the Celtics. The Celtics have to look to box out Anderson Varejao who had 9 and 20 rebounds in the two previous games. The marquee matchup tonight is Rajon Rondo vs. Kyrie Irving. Rondo is coming off a two game suspension and the All-Star game while Kyrie is coming off the MVP of the Rising Stars game where he scored 34 points off 8-8 shooting from 3. Look for both players to attack the paint and be very active all over the floor. Whichever player wins this matchup will likely win the game for his team. This entry was posted in Celtics and tagged boston celtics, boston sports blog, cleveland cavaliers, kevin garnett, Kyrie Irving, paul pierce, rajon rondo, ray allen by leibo4. Bookmark the permalink.